No, that isn’t a typo- a third chapter of the Bayonetta saga is coming exclusively to the Nintendo Switch. To the glee of many, Bayonetta returned in 2014 with a Wii U-exclusive sequel, complete with a co-op mode, refined gameplay mechanics and Nintendo-themed costumes and weapons; some continue to express dismay with the sequel’s Nintendo-exclusive continuation following it’s multi-platform 2009 debut, but developer Platinum Games has previously stated that the adventures of the Umbran Witch would not have continued if it wasn’t for Nintendo’s developmental influence and funding. Platinum Games was not present at last week’s edition of The Game Awards, however Nintendo of America’s Reggie Fils-Aime was eager to make a Bayonetta-related announcement; though it was casually teased through Platinum’s official Japanese Twitter account earlier in the year, a new trailer confirms Bayonetta 2 will release for the Nintendo Switch, partnered with the original Bayonetta as a digital title, similar to the dual-disc first-print release of Bayonetta 2 for the Wii U. According to Nintendo and Platinum Games, the Switch versions of Bayonetta and Bayonetta 2 have been enhanced again for the Switch hardware, featuring local “couch” Co-Op for the sequel, HD Rumble for both games, and support for the two previously-released Bayonetta Super Smash Bros. for Wii U/3DS Amiibo figures. Reggie and The Game Awards host Geoff Keighley brought their segment to a close with a teaser for another Platinum Games title, the much-requested Bayonetta 3. 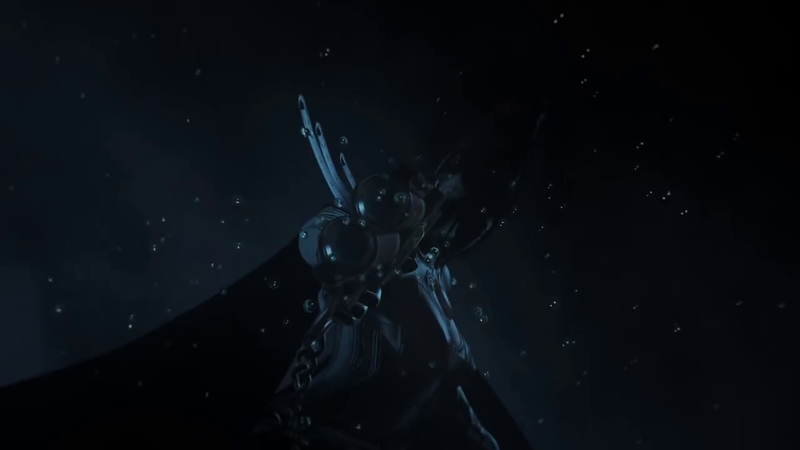 No gameplay was shown in the teaser, but the brief clip continues the tradition of the Bayonetta and Bayonetta 2 teasers, showing a bold moon, the black-clad Umbra Witch, and a flurry of bullets and enigmatic action. It’s worth noting that Bayonetta is sporting her original outfit and hairstyle from the first game, and a new set of guns apart from “Scarborough Fair” and “Love is Blue”; this is suggested by the ornamentation on her gun-equipped heels, and two single-frame shots including the inscription “Whittingham Fair” on the barrels. Bayonetta and Bayonetta 2 will release for the Nintendo Switch on 2/16. Bayonetta 3 does not have a release window, but as the trailer claims, is currently in development exclusively for the Nintendo Switch.